Researchers at The Jackson Laboratory led by Assistant Professor Zhong-wei Zhang, Ph.D., have discovered a factor in synapse-building, also showing that the building and pruning processes occur independent of each other. Mammals are born with functioning but not-yet-developed brains. After birth, external stimuli and internal programs continue to shape the connections between neurons, known as synapses, and the formation of networks of synapses known as neuronal circuits. Some grow stronger, some grow weaker, redundant connections are eliminated, and so on. 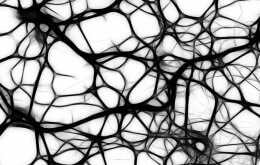 Such “plasticity,” the ongoing refinement of neural connections and networks, continues throughout life, albeit more subtly with time and maturation. Much about plasticity remains unknown. How the neural circuits are modified, what controls the modification, the mechanics of strengthening or eliminating specific synapses and much more are subjects of ongoing research. Besides gaining a better picture of normal brain development, scientists seek to understand the errors in synapse building and pruning that are associated with autism, mental retardation and schizophrenia. Zhang and colleagues investigated a major type of synapse in the brain (called the glutamatergic synapse) that undergoes rapid refinement soon after birth. What they discovered is that these synapses are strengthened through the addition of a particular kind of glutamate receptors, beginning about a week after birth for mice. Notably, sensory deprivation disrupts the strengthening of the synapses, highlighting the role of early experience in synapse building. In a somewhat surprising finding, the Zhang lab also discovered that the elimination of redundant synapses was not dependent on the other synapses’ being strengthened. Since synaptic strengthening usually precedes removal of redundant synapses, it was not known if such elimination is dependent on the prior strengthening. In mice lacking the receptor, which prevented significant strengthening of synaptic connections, redundant synapses were eliminated as usual. The Jackson Laboratory is an independent, nonprofit biomedical research institution and National Cancer Institute-designated Cancer Center based in Bar Harbor, Maine, with a facility in Sacramento, Calif., a planned facility in Farmington, Conn., and a total staff of about 1,400. Its mission is to discover the genetic basis for preventing, treating and curing human disease, and to enable research and education for the global biomedical community. For information on automatic email delivery of news releases (journalists only), please send an email request for details to news@jax.org. Please address other inquiries to pubinfo@jax.org.